It’s not everyday you get to meet the legend Roger Federer, last week I had the chance to do just that and also play tennis. A great opportunity to practice my tennis skills. 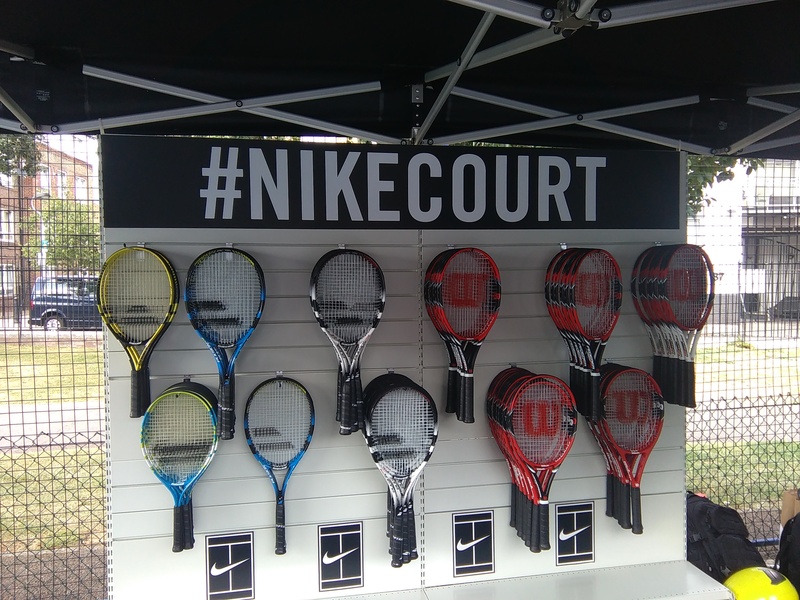 As part of the launch of NikeCourt Club this summer. 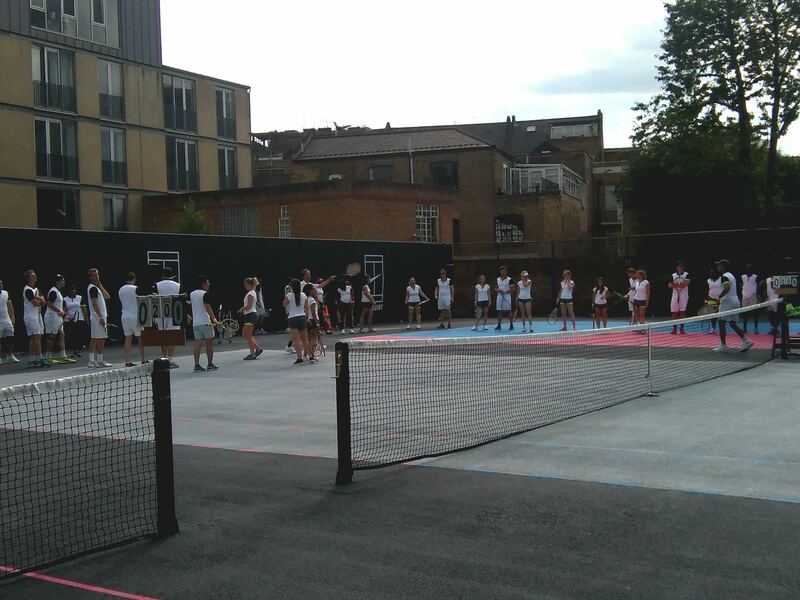 Nike refurbished courts at Tanner Street park, where they are offering ten days of free tennis to players at all levels. What better time to promote this, then at the start of Wimbledon. 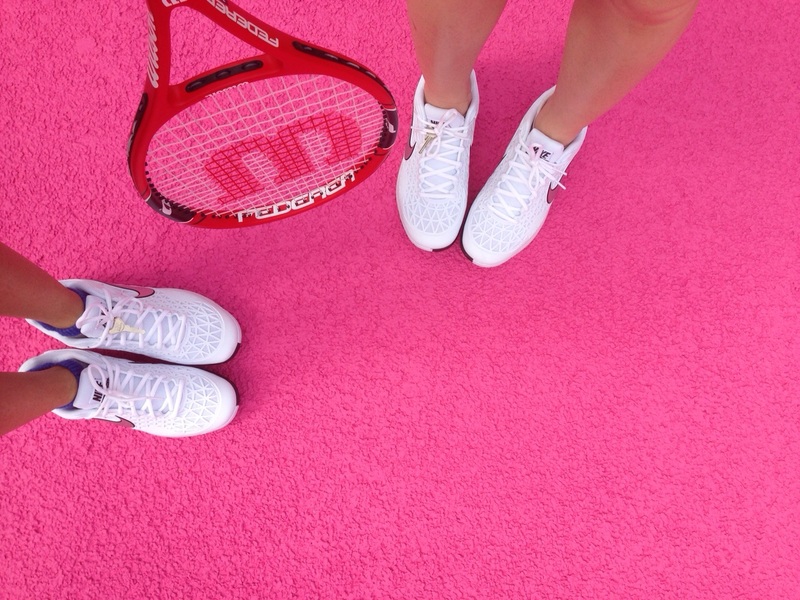 The unique thing about one of the courts is that it is pink and blue, which brings a fresh new look to the world of tennis. Start from the Baseline – a beginner’s guide to play tennis with leading coaches to make sure you get the basics right. Fast Tennis hosted by the best coaches in the country for a high intensity session inspired by the way the top athletes train which will get your heart racing and your swing perfect. King of the Court – a fast moving competitive tournament to work all aspects of your game. 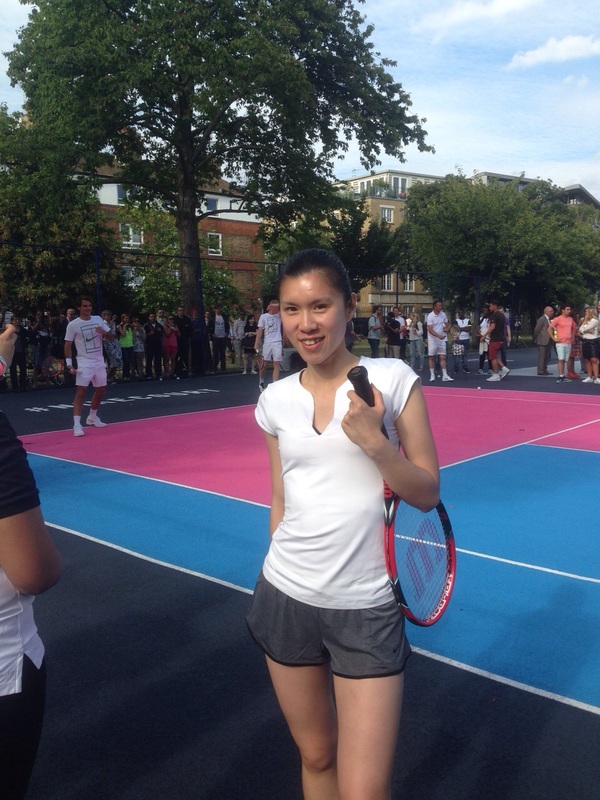 I had left work early and meet my friend who was already in the queue to enter the grounds of Tanner Park, tennis courts. 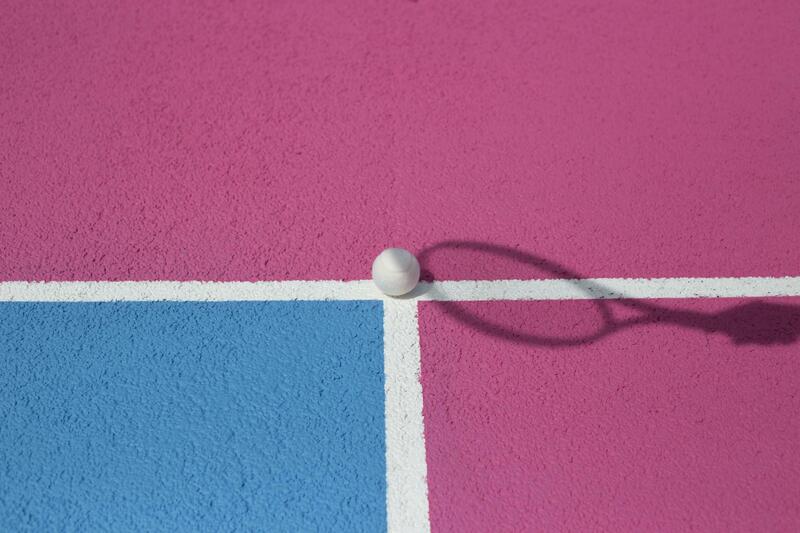 When I stepped in I noticed a pink and blue court (not your everyday tennis court) but it looked amazing. I had come prepared with my tennis outfit, which I didn’t really need. 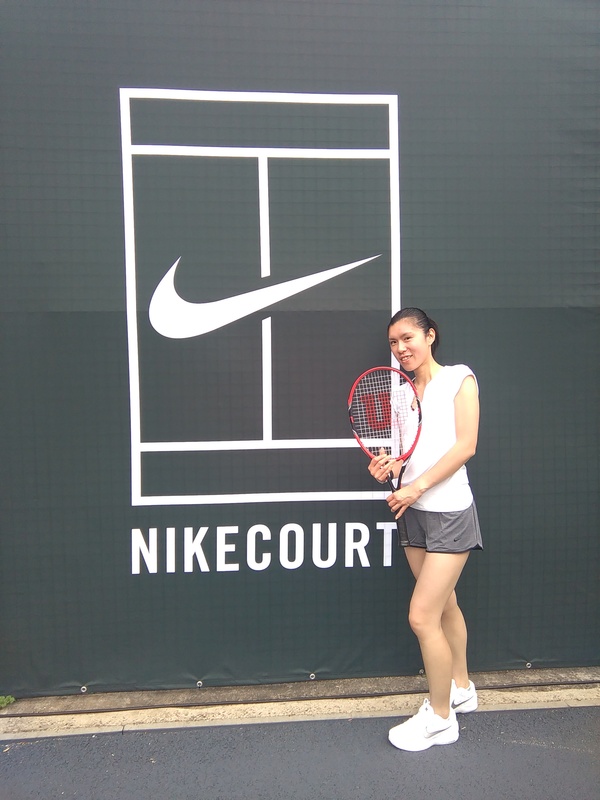 As Nike kitted us up with an outfit for the session; shorts (Nike Pro Inside Full Flex Shorts Damen black/volt ) top (Nike Womens Pure Capsleeve Top, White) and tennis trainers (Zoom Cage 2 Women white/Silver) loved the trainers… so light weight). 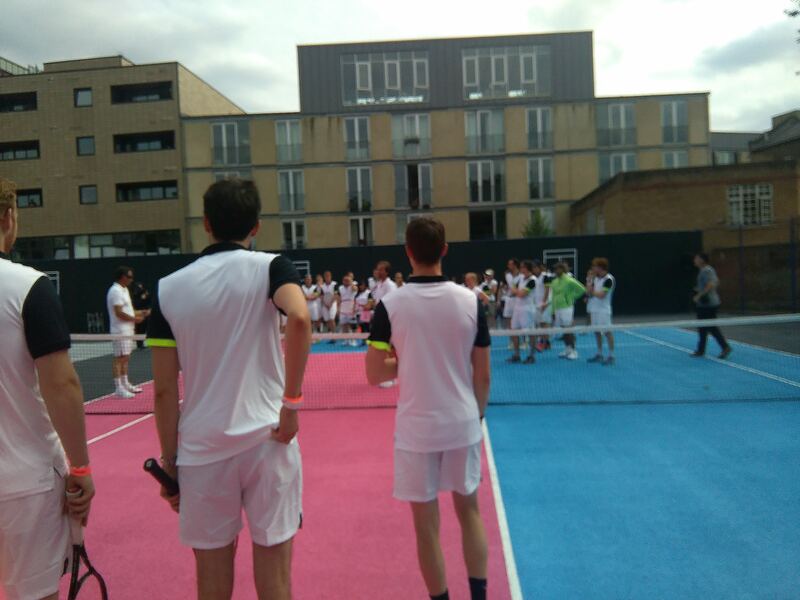 A very special guest was about to join us at the NikeCourt club, but not before we played some tennis. Professional coaches from the LTA tennis lead us through some tennis shots; groundstokes, drops shots, return of serve, volleys. We started off with some gentle warm-ups to get the heart pumping, working in pairs. Then moved on to hitting the ball against each other. Followed by drops shots and return of serves from the coaches and mixing it up with some NTC drills; pushups, burpees and lateral jump overs. With it being a very warm afternoon, this sure worked us into a sweat. 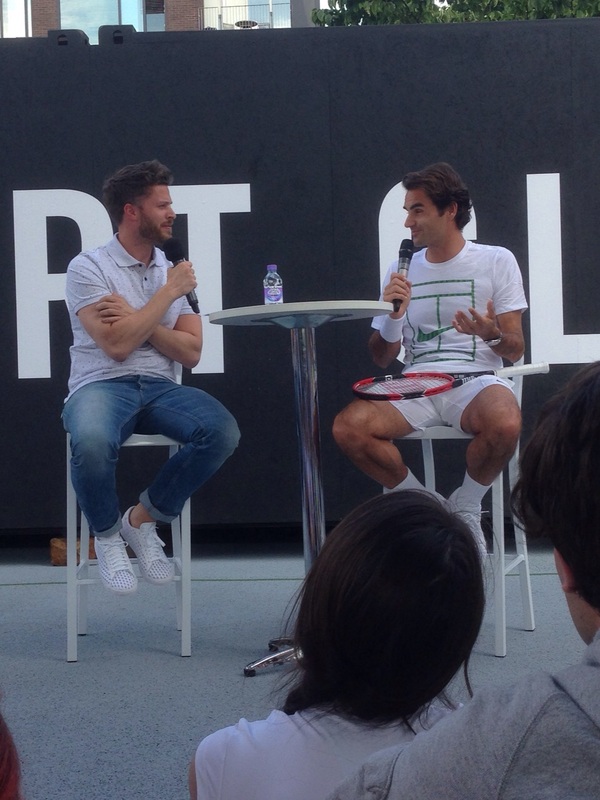 After a sweaty session of tennis, it was time to take a seat and enjoy a Q&A session in the company of a great tennis legend; Roger Federer. Everyone welcomed him with cheers and claps. 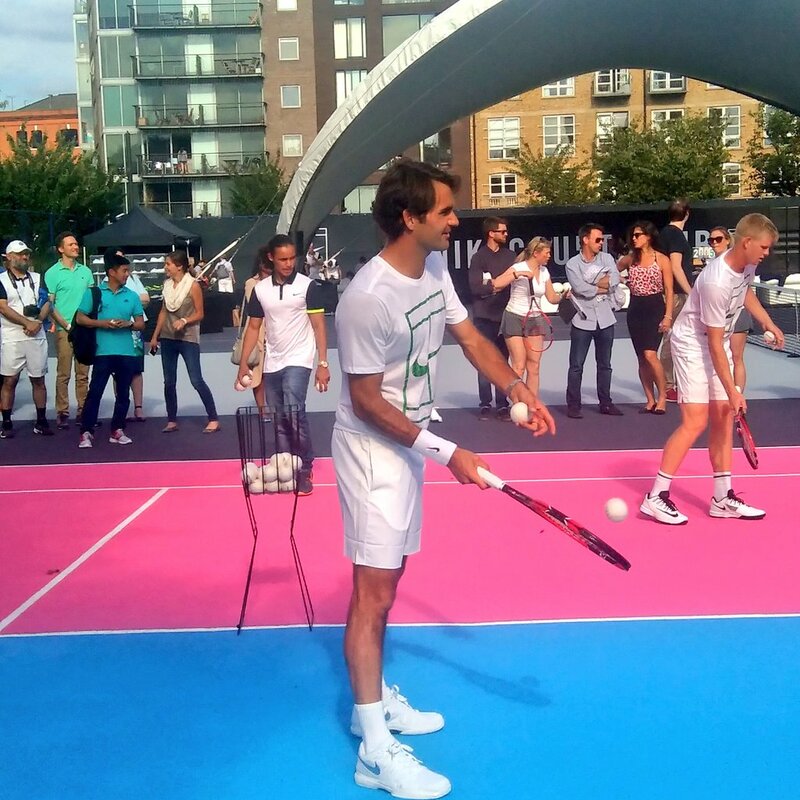 Of course there was no way Roger would come to a tennis court and not play tennis. 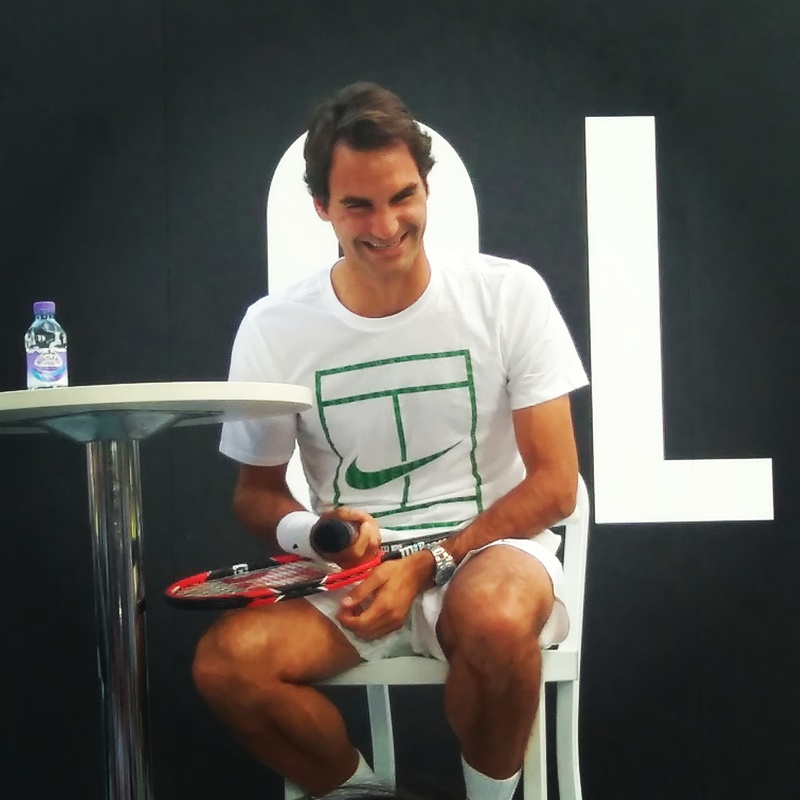 After the Q&A session, we watched him play tennis. It was amazing to actually see him play in person and to be able to stand around the court and watch him. 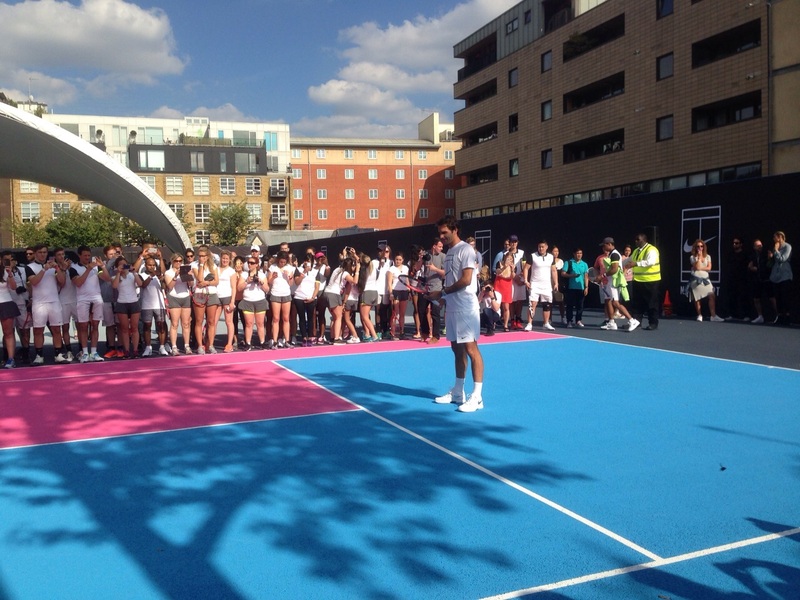 We even got to play against Roger as everyone had a chance to hit a couple of shots with him before the evening ended. 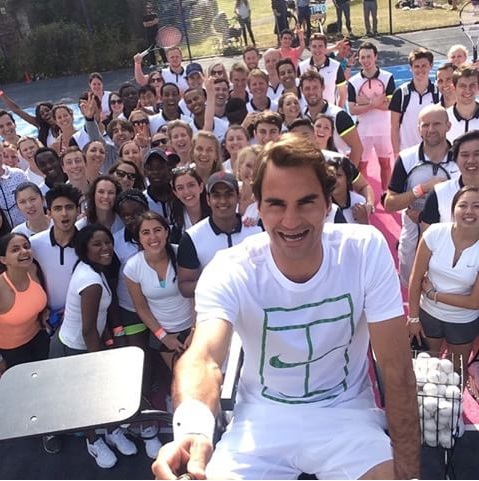 Thank you Nike for an amazing event, felt so lucky to have met Roger Federer; one of the greatest players in the world.